MURFREESBORO, Tenn. – It had been more than a decade since Lipscomb and Middle Tennessee last met on the hardwood. Despite being separated by just 40 miles, the two teams previously played on Nov. 16, 2007, when the Blue Raiders took a 68-62 win at Murphy Center. Saturday’s long-awaited battle did not disappoint – at least for Lipscomb fans. The Bisons used four double-digit scorers to pull away from Middle Tennessee in an 84-74 victory. Since dropping to Belmont at home on Nov. 15, the Bisons have now reeled off four-straight road victories. The 6-1 start is Lipscomb’s best since the 2004-05 season. Middle Tennessee (3-5) did not make things easy. Antonio Green had 21 first-half points, and the Blue Raiders held a narrow 38-37 advantage at the break. 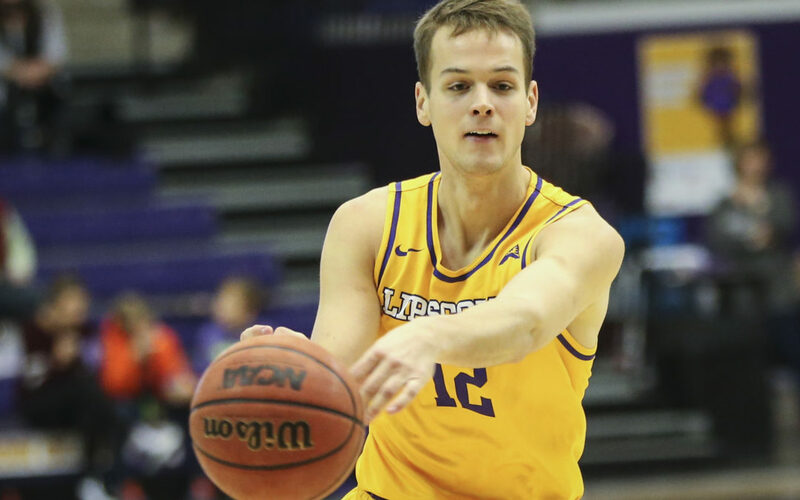 Lipscomb’s Garrison Mathews is nearing another major statistical milestone. The senior guard scored 29 points on Saturday to move into 10th place on Lipscomb’s all-time leading scoring list with 1,868 career points. He will likely hit the 2,000-point mark later this month. Lipscomb is the only team in NCAA Division I with three 1,000-point scorers on its active roster. Moran and Marberry both achieved the mark earlier this season to join Mathews on the list. Ahsan Asadullah made a big splash in his college debut by scoring 26 points against Sewanee in November. Since then, the redshirt freshman has been a bit inconsistent on the offensive end. But the Atlanta native scored 15 points against Morehead State last Sunday and followed that performance up with 10 points against the Blue Raiders. Forward Matt Rose will not return next season, despite having a year of eligibility remaining. Lipscomb sports information director Kirk Downs confirmed the news on Saturday. The Samford transfer sat out the 2016-17 season due to NCAA transfer rules, but he used a redshirt to salvage a fifth year of eligibility. But instead of using his final year, Rose is planning to get married and begin his career in finance. Lipscomb has already dealt with a few injuries this season. Freshman Jaxon Strates was lost to an ACL injury in late October, and Rob Marberry missed the first two games of the season with a broken hand.